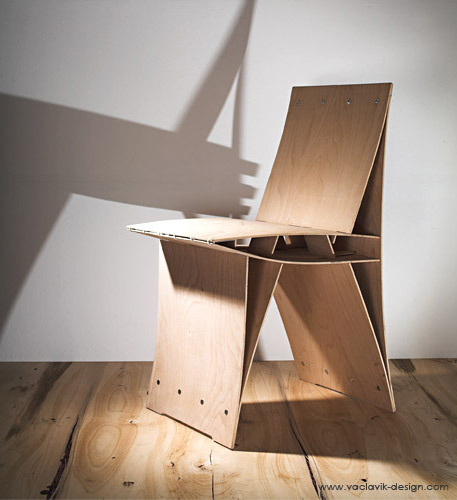 The Chair was designed for easy manufacturing with a minimal waste of the material. 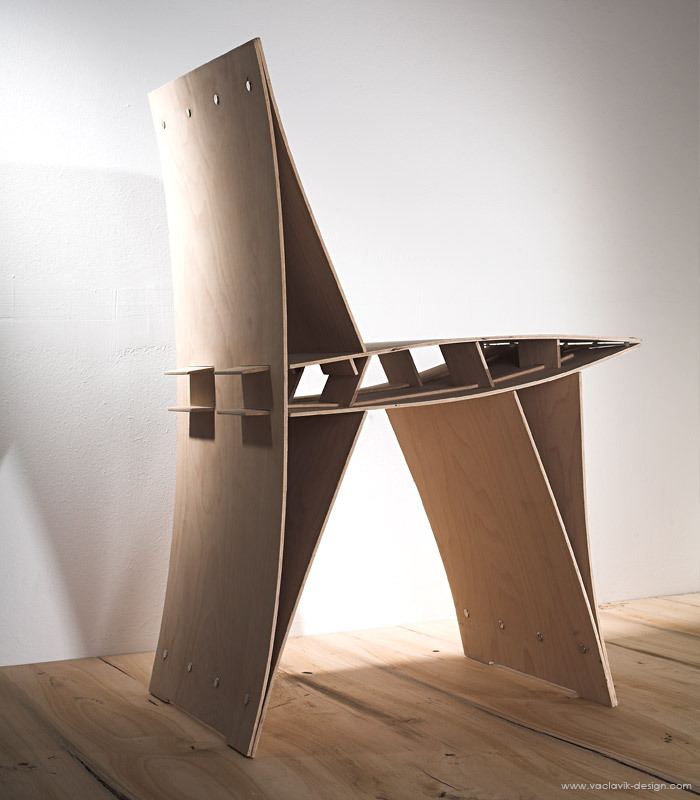 The construction is based on the flexibility of the 5mm plywood using minimum of metal joins. It could be produced in different textures of the wooden veneers. 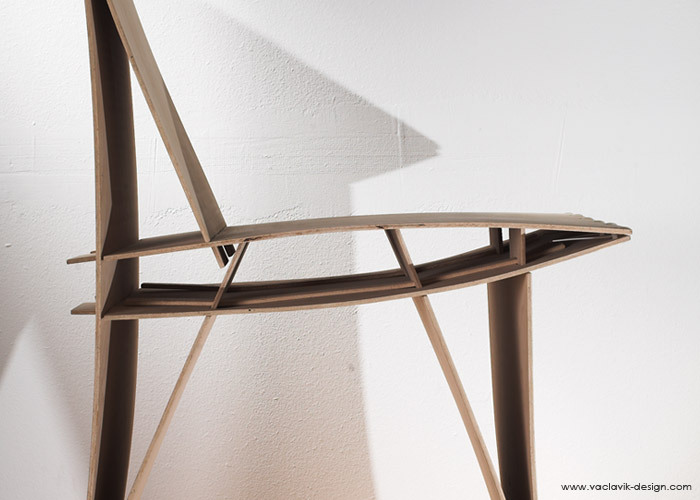 Organic design of the chair was created by the natural forces of the material.